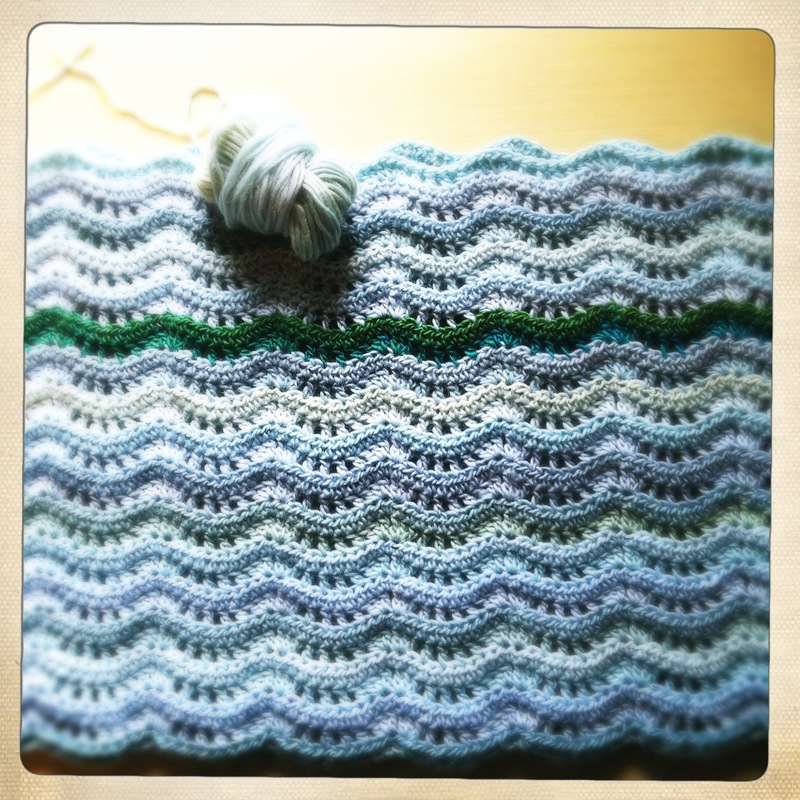 I’ve never participated in WIP (work-in-progress) Wednesday before, but since I’ve enjoyed sharing my progress on the Land and Sea blanket, I figured doing so on a Wednesday wouldn’t be too much of a stretch. And also, I have another project to share. I’ve been crafty, people. First, behold. I have completed the first (very small) contrast section on Land and Sea. I hadn’t mentioned it’s not a one-colourway blanket, had I? Well. I wanted to call it Sea to Sky, but my friend Alexa already has a blanket with that name, so I had to get not-at-all creative. Regardless, I see the colourway that looks like the main colourway at this point as the sea, and the contrasting bit as land. You’ll see. Second, my kid needs throw pillows. Like, pillows to throw. And land on. And roll around with. 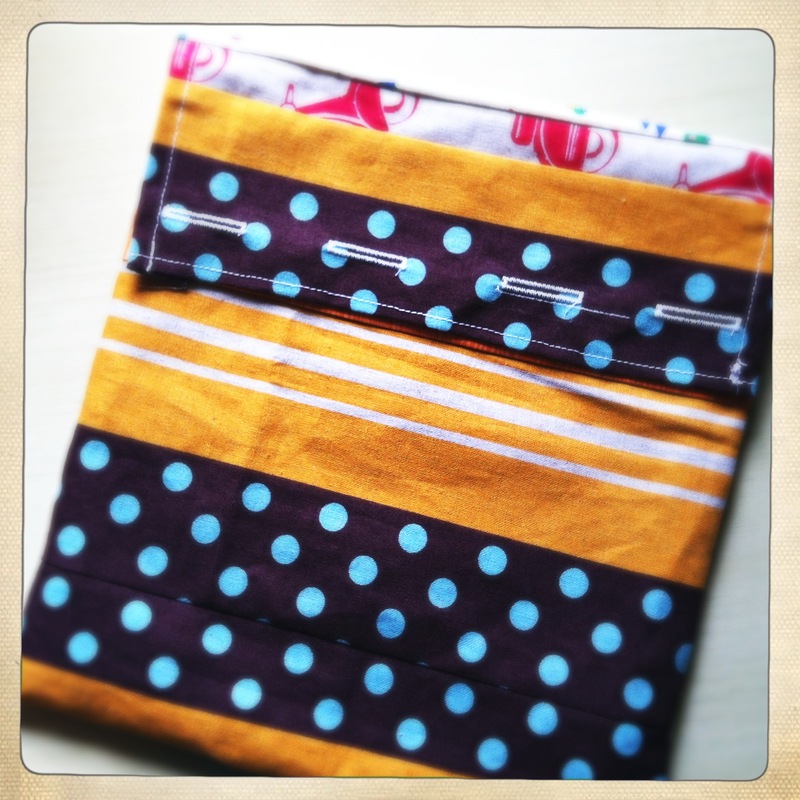 I have a few pillow forms, and I’m slowly making covers for them out of scraps and odd fat quarters. This is the first. I dug around my Mighty Ugly stash and pulled out some scraps I’d rather use for this than that. And I felt very, very accomplished, for I did not use a pattern. I just cut and pieced and sewed, and look at that, a pillow cover! 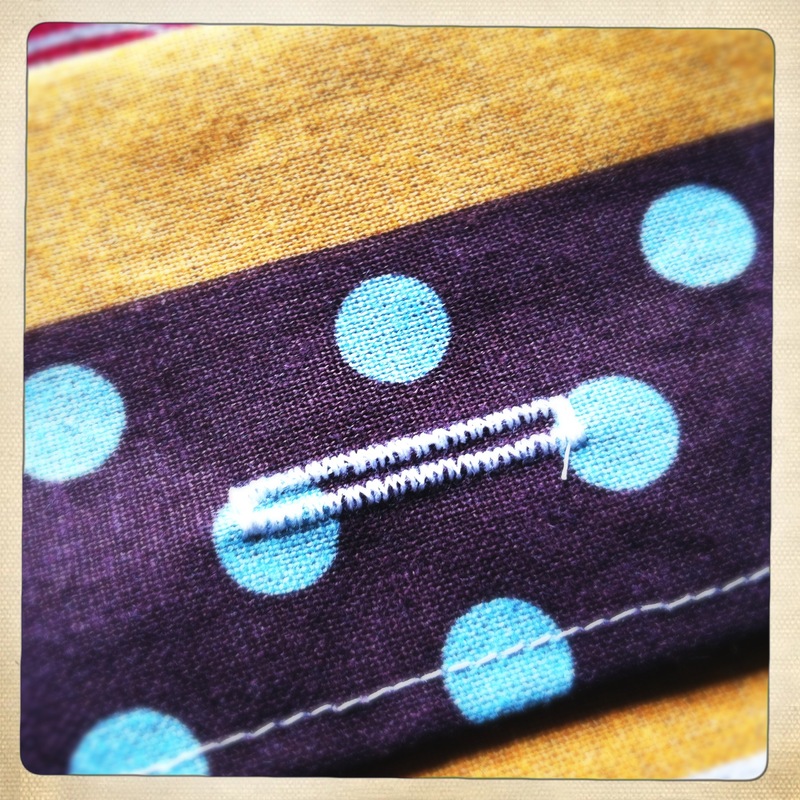 As an added bonus, I learned how to make buttonholes on my sewing machine. Which, in case you’ve not had the pleasure of experiencing this feat, is amazeballs. (I screwed one of the buttonholes up. See? But I don’t actually care.) All I have left to do is cut those suckers open and sew the buttons on. Here’s a closeup of one of the buttonholes. Magic. So. What are you working on this Wednesday? Looks gorgeous Kim! My niece is having a girl in July and you’ve inspired me to do something similar in pink tones. 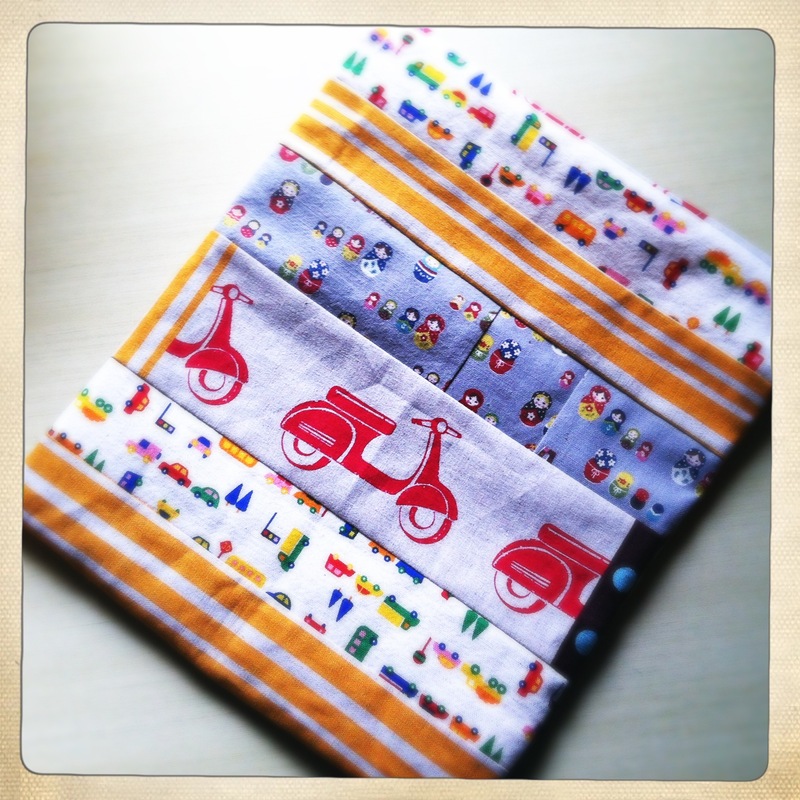 The pillow covers would make a great gift as well – its so satisfying to raid the stash and come up with something so great! I’d love to see a photo of the blanket you make, Lori!